Hello again. It's been a while. As you can imagine now that I have join the ranks of the paid employment life has gone into another gear. I've been in my new job one month and I'm thoroughly enjoying it. The challenge is to keep the job from taking over. It is after all part time but there is more than enough work there to keep me full occupied full time so I have to be strict with myself and ensure on the days that are mine to do my own work I don't allow myself to be sucked in to other things to do with my paid work. 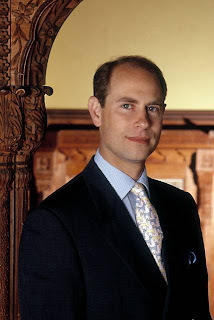 The biggest excitement, if a little daunting, is that on July 21st The Allendale Forge Studios Art & Media Visitor Centre (to give the place it's full title) will be officially opened by HRH The Earl of Wessex - Prince Edward to you and me. Gulp! Quite a coup for a tiny ink dot of a place in the backwaters of Northumberland. This is entirely due to Amanda Galbraith the founder of the original Pebbles Gallery and Cafe which Allendale Forge has now become. She didn't bat an eyelid when she approached the Palace to ask if someone from the Royal family would like to open the new centre. No one can quite believe she pulled it off but it is testament to her incredible vision and hard work that HRH expressed his particular interest to come and see the fruits of her labour. So if you are in the area come and join us on Thursday July 21st from 12.30p.m.